Warm homes with cheaper energy bills, that is the goal for many local authorities across the UK and now Teignbridge District Council is aiming to push forwards with a scheme to make central heating systems in its district more efficient. Last year it launched its own boiler scrappage scheme and is now promoting it before the winter comes. The scheme was launched last year and the aim of it is to encourage residents to replace their old boilers with brand new ones at a discount. This will help to save money and will also greatly reduce carbon emissions. Householders who are over 75 years of age and have a total household income of less than £16,000 or who receive disability living allowance can now receive £400 towards the cost of a new boiler if their current central heating system is rated E or above. A new high-efficiency condensing boiler could save up to £300 in energy bills and over 1 kg of CO2 each year. The council is encouraging people to replace their old boilers with winter on its way. 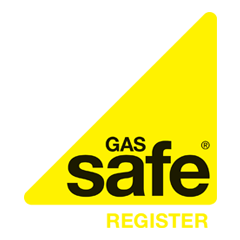 The money being offered comes in the form of vouchers which are valid for eight weeks and which will help to buy a new A-rated boiler or gas, oil or LPG equivalent. The boiler should be fitted by a registered installer and could save up to 20 percent on current domestic heating bills. Cllr Vogel said that although the savings wouldn’t outweigh the cost of a replacement at first, over time the savings would add up. “The scheme is also a huge help to those people who may have no choice but to replace their boiler. Not only will a new boiler be cheaper to run, but it has the added advantage of helping our environment by reducing carbon emissions,” he added.